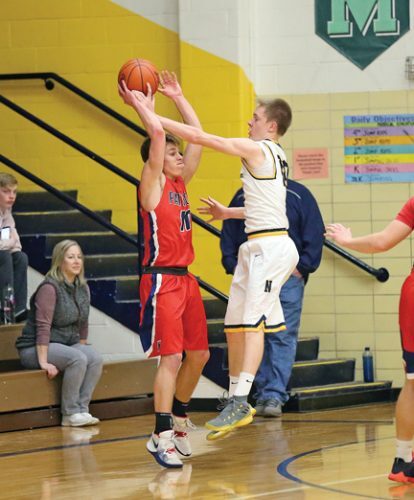 MARQUETTE — Paul Seibert won’t press the panic button on the first day of the season. The Marquette Senior High School head softball coach watched the Redettes lose a pair of games Friday to open the Spring Swing in the Superior Dome, falling to Westwood 13-4 and to Hancock 2-0. 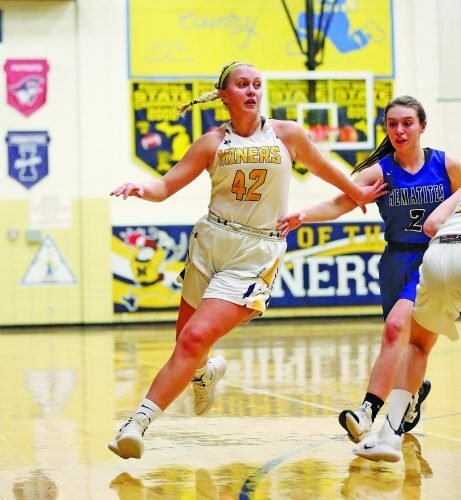 This young team features just two seniors, Taylor Myers and Alexis Trombley. “We had a few problems in the first inning against Westwood, some mental errors and our pitch struggling with her control,” Seibert said. “But I thought we hit the ball really well and put the ball in play. 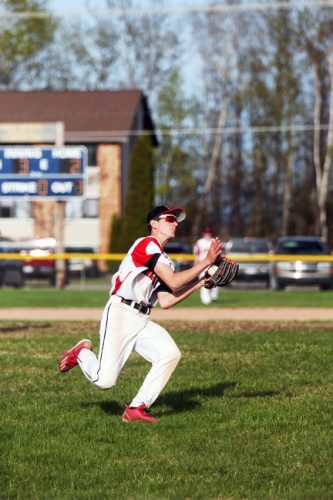 The Patriots erupted for eight runs in the opening inning, tacking on four more in a game that lasted just 3 1/2 innings. 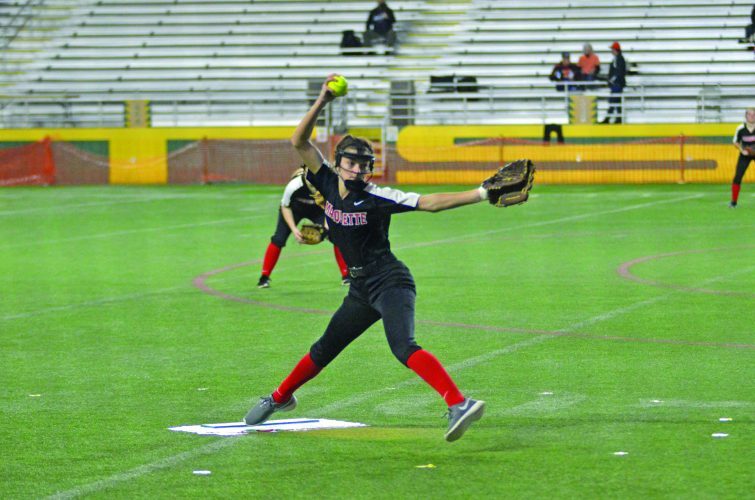 Westwood pitcher Karlie Patron was the recipient of her team’s offense, getting the win by going three innings and allowing four runs, three of them earned, on six hits with two strikeouts and three walks. Freshman Jillian Koski went 2 for 4 with and RBI and two runs scored. Two young teammates also starred at the plate — sophomore Ellie Miller was 2 for 3 and freshman Natalie Prophet was 2 for 4 as each also scored twice. 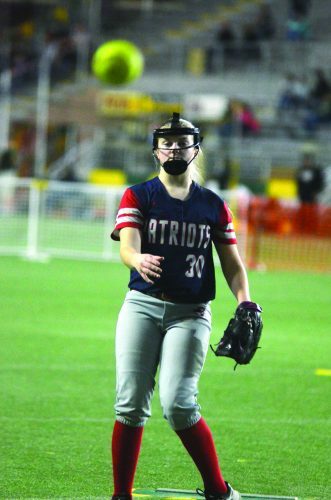 Marquette pitcher Rayna Warchock was saddled with the loss as she went two innings and gave up nine runs, but only two that were earned, on five hits with five walks and no Ks. Trombley had a double and RBI while Redettes teammate Sofia van den Ende had a triple as each scored a run. Marquette managed just one hit off Hancock winning hurler Delany Heinonen, who went all five innings while fanning seven and not allowing a walk. Van den Ende had the Redettes’ hit, a second-inning single, in support of losing pitcher Amanda McIntire, who also went all five innings and one earned run and just two hits as she fanned five and walked five. Marquette has one more game today against Bonduel, Wisconsin, at 11:30 a.m. In other available scores from Friday, Florence, Wisconsin, defeated L’Anse 5-2, Newberry dropped Florence 10-4, Kingsford felled Hancock 13-2, the Marquette JV blanked Munising 7-0 and the Calumet JV upended the Marquette JV 13-3.